Music is a social game, it sounds better when played by a group and it sounds better enjoyed with others. “I’m an introvert” is probably the most dangerous story you can tell yourself. It’s a trap that can turn into hiding or isolation and will limit your songwriting career. We all have personal stories, they are part of who we are and what we believe about ourselves and the world. Your personal stories define your life… don’t let them limit you or your potential or your career. I’ve done it. If you find this article making you uncomfortable, then it’s on point, be sure to check ou t the action steps at the end of the article to help you get working on it! Being an introvert means I process things best in my head. I’m good at thinking things through and figuring them out on my own. Shy means I feel awkward or uncomfortable in many social situations. I often avoid large groups of people and unfamiliar social situations. People are better in small groups and small doses. I can get overwhelmed by social gatherings, they are emotionally and physically draining. The opposite of an introvert is an extrovert, who finds it easier to figure out new ideas by talking them through with other people… thinking by talking out loud, rather than just thinking about it internally. The opposite of shy is gregarious, someone who is comfortable in social situations, enjoying conversations and getting a charge out of social interactions and large groups of people. There are enough similarities between being introverted and shy, and between being extroverted and gregarious, that these pairs of terms are often synonymous in everyday language. Everyone does both, internal and external processing, even though many people find one more effective for them than the other. I’m an introvert I’d rather think things through, but I still learn if I talk about it. Generally I’m shy. People that I know and that I’m comfortable with are surprised when I tell them I’m usually shy. Just because I tend to be one or the other, doesn’t mean I’m stuck there or can only do it that way. I discuss the idea of having and using preferences to maximize how we learn new ideas and skills in Songwriting Learning Styles. Shy can change, you can grow. You can change it! Introverted is a preference, not a way of life. a rationalization so you can avoid feeling socially uncomfortable. I’m not judging, I’m writing this article because I’ve done it (and sometimes still do it) too! To grow you have to do the hard or uncomfortable thing. I explain this from a different perspective in Learning is Uncomfortable. It’s possible to become an internet sensation by yourself… recording, mixing, mastering and releasing music from the comfort of your own bedroom. Post your song online and it could magically become a hit, making you famous and rich. It happened to Justin Bieber and others, but they are the exception not the rule. You’ve seen how many other singer songwriters are posting in FaceBook groups and on YouTube hoping for fortune and fame. Just because you can (learn to) do it yourself, doesn’t mean it’s the best choice for your career. Songwriters and musicians that make it have help…. Every successful musician or songwriter either leads or is part of a team. We don’t necessarily see or hear the team but they are part of the show we attend or the video we watch or the music we listen to…. It’s not always about money to hire a team or a company to get the work done. Co-write a song sharing equal royalty splits and responsibility publicizing the song. Find people to listen to your songs and give you constructive feedback before you pay for song critiques. A band member or friend can lead your social media publicity before you’re ready to think about hiring a P.R. or marketing company. You can play open mics or jam sessions to meet other musicians and to get enough experience and material to play a full set or full show instead of trying to book and play your own shows. Get help booking shows by partnering with other performers or bands as their opening act until you’re got enough material and experience to headline for others. Get help on your website from a friend or a paid service instead of trying to figure it out yourself. To get to the next level you eventually need a team. What’s your next step in adding a member to or assembling a team for your music? Don’t let the personal story “I’m an introvert” block your career… you’re just shy! Comment Below: What Will You Do Next? 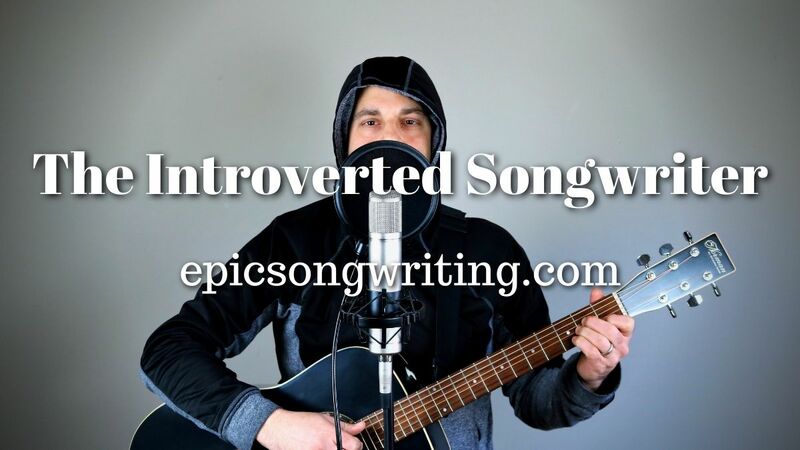 0 responses on "Introverted Songwriter"